Sanrio fans got all hyped up when McDonald's Singapore announced that My Melody holders would be available in stores from Thursday (Dec 6) onwards. The limited edition holders, which come with compartments to hold a drink and a food item, can be placed over a car seat as well as carried on the go. They are priced at $6.90 with any McDonald's purchase and each customer is limited to five sets. The collectibles drew long, snaking queues at the fast food chain's outlets island-wide and started selling out in the early morning. 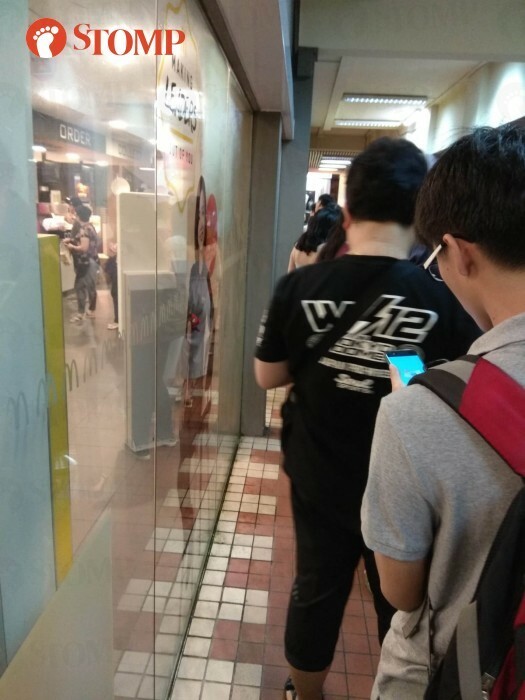 Stomper Alex was surprised to see a large crowd at the McDonald's restaurant near Bukit Batok MRT Station when he passed by at around 5.55am. He said that he did not join the queue to get the My Melody holders as it was "too long". Alex told Stomp: "There were around 15 to 20 people in the queue. "I was surprised because this outlet is usually quite ulu and it wasn't even 6am yet. "I think some people started queueing at 4am. Pretty much everyone was buying five sets. "It's like the Hello Kitty craze all over again." 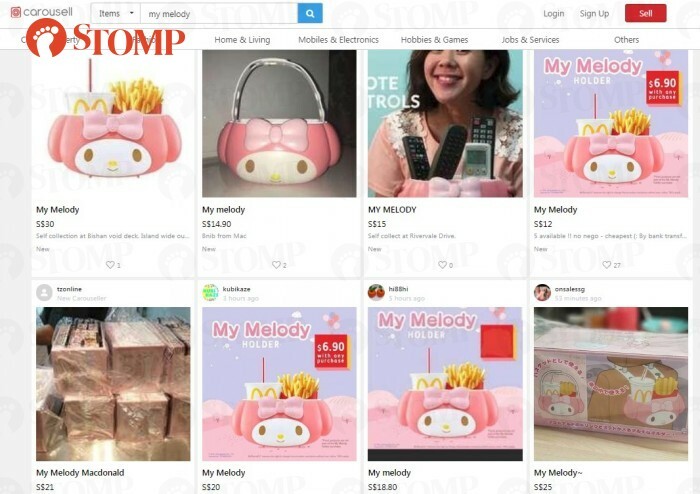 In addition, Stomper Marcus alerted Stomp to how scalpers are currently selling the holders at jacked up prices online. One man in particular listed the holders for sale at $48 each in a Facebook group, according to screenshots taken by Marcus. 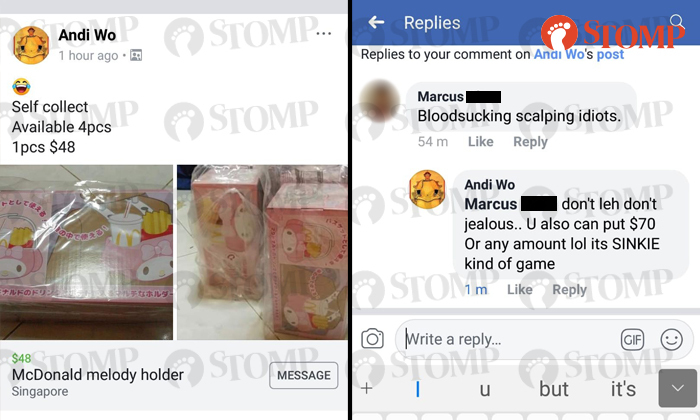 When called out by Marcus, the man told him not to be"jealous" and said he could do the same as "it's a Singaporean kind of game". Scalping is also rampant among Facebook users in Malaysia and on online marketplace Carousell, where the holders are going for $12 to $30 each. 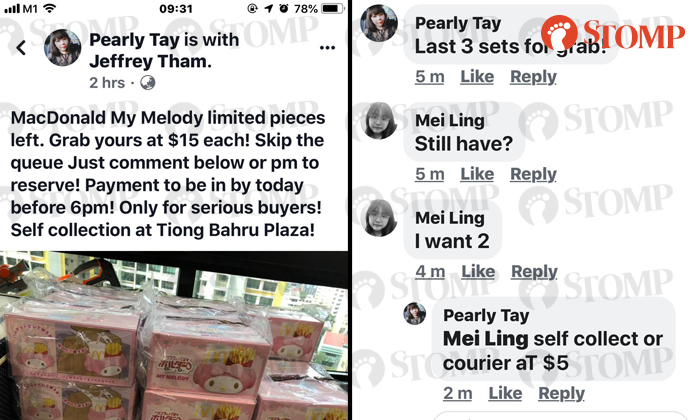 Similarly, Stomper Joo pointed out that there was even a seller providing 'courier services' for an additional fee of $5 along with purchase of the holders. The seller had posted a picture showing the heap of holders that she had in stock. Joo said: "Like that also can! Got courier some more. 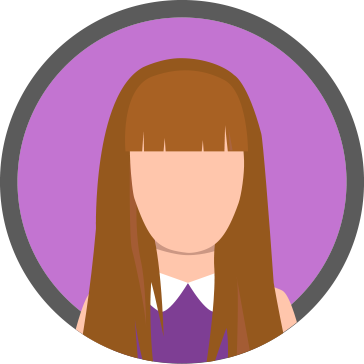 "This seller sold out all her goods in two hours. "Nowadays, people really know how to earn quick bucks." Customers have also taken to McDonald's Facebook page to express their disappointment over not being able to get their hands on the collectible.